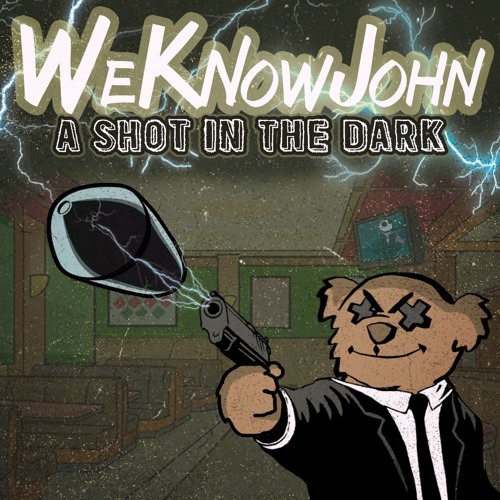 I’m listening to a Pop Punk band based in the South of England called ‘We Know John‘ They’ve just completed their first album ‘A Shot in the Dark’ and it’s due for release on January 4th. This brand sparkin’ new album serves up 11 tracks of peppy, upbeat, often horn-fueled pop punk. It reminds me of things. These things, as the often do, escape me. The one influence that keeps surfacing is, especially with the horns, Less Than Jake. There are worse things to be reminded of. Some of the structure reminds me of an parallel universe Alkaline Trio, where everyone is a bit more happy. In an overarching sense, the band seems like a “happy” band. They would probably be cool to hang with. The entire album isn’t up-note, however. The album takes a bit of a plunge into sadder territory as track 5, “Not OK” begins. So, um, you know, diversity! Anywho, it’s good stuff. Listen to it. Feel the joy that can only be derived from pop punk or from drugs. We Know John are a 7 piece pop punk band hailing from Southampton UK; playing powerful and energetic music that will make you want to jump and bounce along. Their guitars, bass and drums provide the driving force that will lure you in, whilst their catchy melodies and punchy horn lines get stuck in your head until you are hooked. Formed In May 2013, We Know John have had a slow start to life. With a few local gigs and a lot of practising behind them, the band are ready kick on and make 2018 a great year to remember. Next Next post: Happy Anniversary, Upstarter!